Join us for a TALK session in Spanish for Higher Beginners. If you have studied Spanish before and want to polish your conversational skills, this TALK session offers you a unique opportunity to hone your conversation skills in a fun and relaxed way. During the TALK session, you’ll practice conversation with the guidance of an experienced language coach. 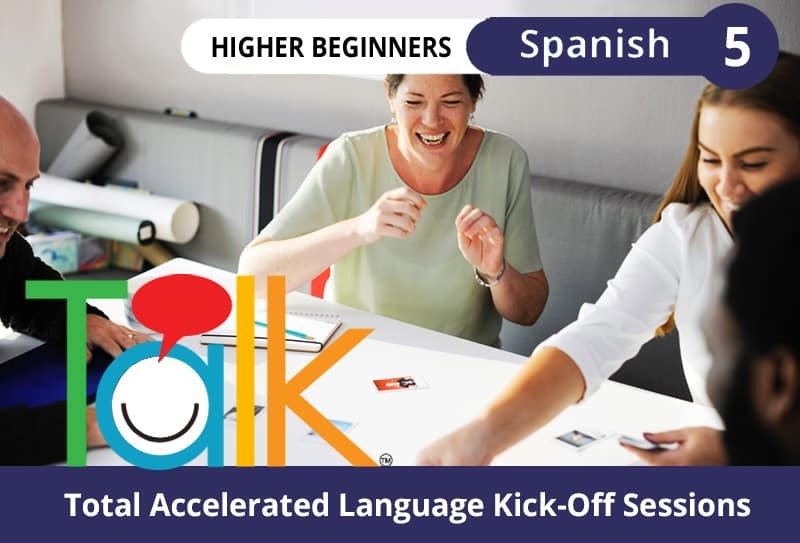 You’ll be reviewing and reinforcing specific language structures for effective communication in Spanish at the Higher Beginner level.